I had the pleasure of first viewing Rena’s powerful film, “Once Were Warriors”, at the famous Angelika theatre in the SoHo area of New York City. A theatre known for assisting independent films making its mark in the industry. 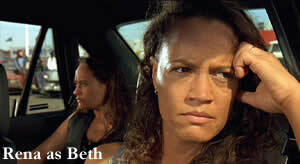 Many an independent debuted at the Angelika, and viewing the film there gave it a special honor.Embarking upon her professional acting career in the early 1980’s, Rena Owen has risen to become one of the most successful and renowned New Zealand actresses. Born in NZ to a Maori/Welsh father and European mother, Rena’s ascent to fame reached new heights for her critically acclaimed and riveting performance as Beth Heke in (what was regarded as one of the top motion pictures of 1995), the International hit, “Once Were Warriors”. With numerous awards spanning worldwide and drawing attention cross culturally, Rena’s beacon shines ever brighter in her endeavors within the industry. 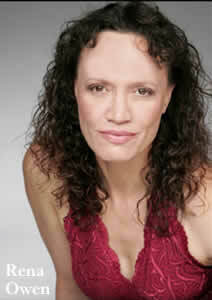 With acting and directing credits on TV/Radio, Stage and Screen, Rena Owen has appeared in numerous films from the Kevin Reynolds’ directed Rapa Nui, Steven Spielberg’s Artificial Intelligence: AI, George Lucas’ Star Wars Episodes II & III, and now has four newly released films in the works for 2007. Tobe Roberts: There are many people who live by inspirational quotes to help them reach their dreams, do you have a quote which assists you in day to day life? 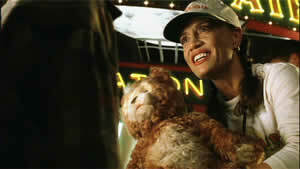 Rena Owen: I have so many that I love and am always finding new ones. If I had to choose one it would be, “With God, all things are possible!”. Tobe: Was there a project from film, tv, theatre or radio that you’ve untaken in the past that has most affected you in a positive way? Why? Rena: I attempt to make the most of each job to improve upon my craft and to grow personally. In choosing one project, “Once Were Warriors” launched my international career, that is a huge positive. On a different note, without naming the job, I worked with a very dysfunctional Actor whose behavior was selfish, self-centered, and destructive to the production. I saw closely how fear operates and sabotages. I learned the valuable lesson of not allowing myself to get caught up in the destructive drama, but rather to say, “This is not my business”, and to walk away from it. The positive being, learning and knowing how to keep one’s own counsel when problems are going on around you. An important lesson as problems on set will happen! Know when it is your business to get involved and if it is not, walk away! Tobe: I see that you are embarking on a writers’ journey, what inspired you to take pen to pad? Rena: I have always called myself an Artist, rather then an Actress as writing has always been a vehicle for my creativity and self-expression. I was first published before I was 10 years old in a National Poetry Competition for Children, which I won. I was published again in Newspapers as a teenager. Then in the first 10 years of my career, I wrote Stage Plays which also went on to be published. 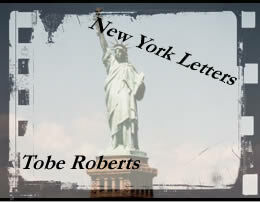 Writing a Screenplay now was always on the long term agenda and eventually I will write novels. I always have, and always will, adore writing! In fact it is the thing I figure I’ll be doing a lot when I am a little old lady! The other vehicle I’ve used has been directing Theater, I may direct a Stage Play here in Los Angeles in July, and possibly go on to direct film. But first things first. As the Writer and Producer, I want to get my NZ epic feature film made, and plan to train with the Director on that. Tobe: Was there anyone who had inspired you growing up as a creative artist? Rena: First and foremost, my inspirations were family. My Grandmother was a huge influence in my childhood, as were my Parents. Then as I grew up I admired and enjoyed many Actors, Filmmakers, Writers, and Musicians. I went through many as tastes constantly changed and evolved as I aged?! It would be impossible to name just a few. Tobe: What aspect of your current 2007 projects: “The Iron Man”, “Ocean of Pearls”, “Shattered Glass” and “Amusement” were most challenging on set? Rena: I can’t answer that question completely as it implicates others. But I can say, learning to speak the Albanian language was an enjoyable challenge on Oceans of Pearls. Working on the set of Amusement in Budapest was challenging in that a lot of the locals did not speak English. Tobe: What types of projects do you tend to undertake and why? Rena: If an Actor always played the same role, you wouldn’t grow very much. So I don’t really limit myself to a type of project but rather, I try to keep an open mind and entertain all opportunities. I do tend to like to do things that I have never done before. That way I get to grow and evolve and possibly discover new things about myself and the human condition. The one rule I have in determining whether to do a project is of a spiritual nature. I ask myself if this is a journey my soul needs to go on and if it feels spiritually right, I do it. Tobe: Is there anyone you would most like to work with/collaborate with in the near future? Rena: How about Cameron, Spielberg, J.J Abrams, Tarantino, or Guillermo del Toro, to name a few? There are so many great filmmakers that I would relish the opportunity to work with! Tobe: Is there one thing you would like to accomplish this year? Rena: Personally, to stop indulging in the occasional cigarette! And professionally, have my NZ Epic Feature packaged and ready to get financed! Tobe: What projects are currently in the works for you? Rena: Finishing my epic NZ Screenplay and signing on my first choice director, Lee Tamahori, is a priority. Possibly directing a Theater piece here in Los Angeles in July. And as an Actor, unknown, but I’d love to do films and some good quality Television. Finally, I am off to NZ this weekend to do a role in a Vincent Ward film, (Map of the Human Heart, What Dreams May Come). Tobe: What advice would you give aspiring filmmakers? Rena: There is no competition as there is only ONE of you. There never has been, and there never will be, another YOU. And that is what you have to offer to the world, Who You Are. So, be true to yourself, and be the best You!. Tobe: Thank you very much, Rena.